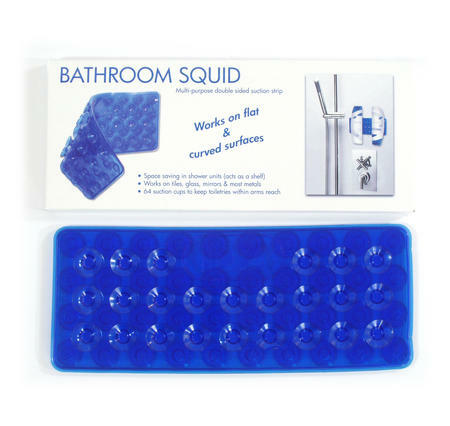 Bathroom Squid is a double sided strip of rubberised suckers - it sticks to tiles, glass, mirrors and most metals. Stick it to the inside of your shower and stick your toiletries to the other side keeping them within easy reach! Sticks to flat and curved surfaces. Real space saver in the shower!